Based on the rhetoric from the 2016 presidential campaign trail, it was reasonable for Industry to anticipate OSHA enforcement under a Trump Administration to contract significantly from the aggressive enforcement model employed by Pres. Obama’s OSHA. Informed by the enforcement philosophies of past Republican administrations, the expectation was that a Pres. Trump / Sec. Acosta OSHA would scale back enforcement, favor compliance assistance, slash OSHA’s budget and staff to limit enforcement, retire national and local emphasis enforcement programs, revise enforcement policies that inflate civil penalties, and otherwise retool its approach to ease the regulatory burden on employers. The reality, however, is that OSHA during the Trump-era has not backed down from its enforcement mission. Quite to the contrary, relevant enforcement data reveals enforcement creep. With still no Trump-appointed Assistant Secretary of Labor for OSHA in place nearly two years into the Trump Administration, career OSHA staff have considerable influence over the direction OSHA is steering, and that is why little has changed, and why change may not be on the near horizon. Historically, OSHA operated under the assumption that more inspections are better. OSHA’s philosophy was that the more workplaces that OSHA is able to inspected, the greater the impact OSHA would have on safety and health, and the more employees it would be able to protect. At the end of every year, the national office would produce data and graphs showing the number of inspections, and gave no consideration for the different types of inspections or the range of complexity of the issues faced in each inspection. It was the classic quota protocol with the classic weaknesses that quota cause – driving enforcement to the simplest, quickest hitting inspections available. A traditional inspection at a small construction site can last as little as a couple of hours with only one compliance officer, whereas a wall-to-wall inspection at a petrochemical manufacturing plant could last days, if not months, requiring multiple compliance officers and specialists. 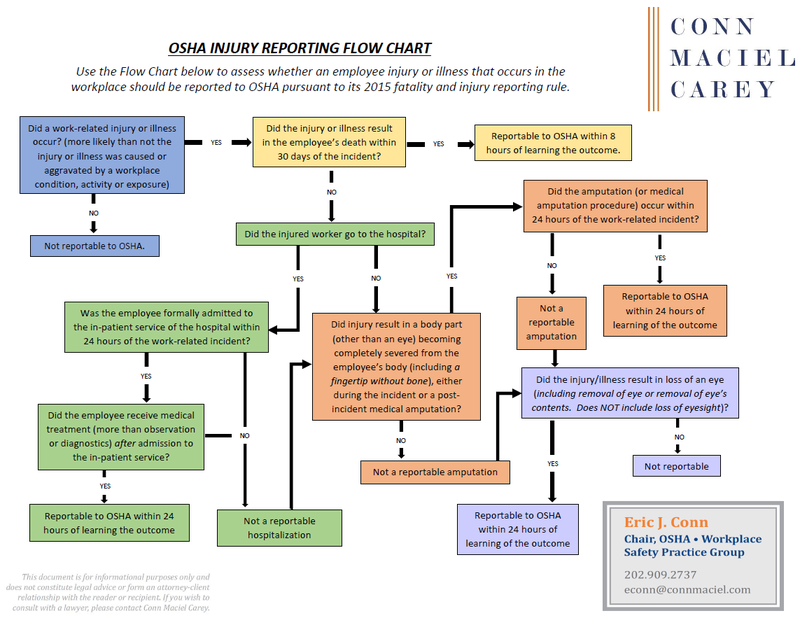 Under OSHA’s historical tracking system, both of those types of inspections were counted as the same unit of measure – one inspection. To account for this wide variation in resources that inspections can consume, in personnel and man hours, OSHA has adopted the new Enforcement Weighting System. The new tracking system kicked in at the start of the new federal fiscal year. 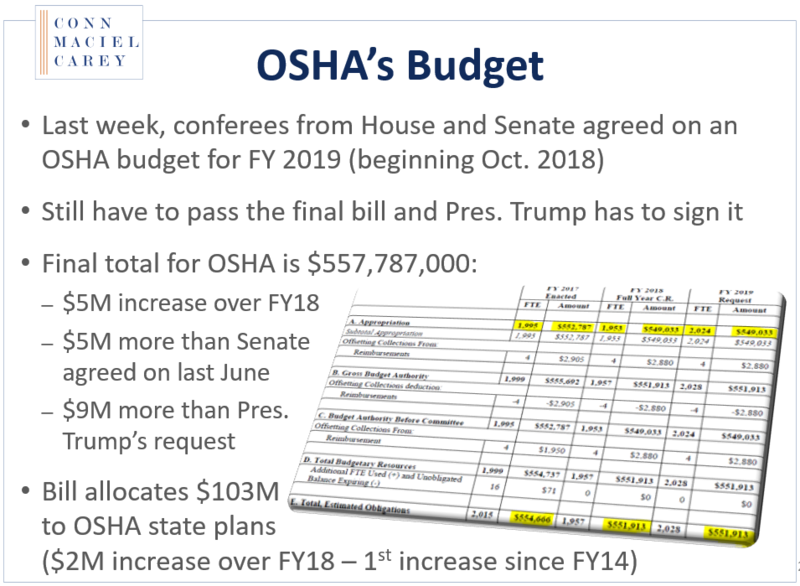 OSHA piloted the system over the two previous fiscal years. At the core of the new Enforcement Weighting System is the introduction of a new unit of measure for inspections – the Enforcement Unit. Different types of inspections are assigned a different number of Enforcement Units. For example, the simple, small construction site inspection would be assigned a single Enforcement Unit, whereas the wall to wall chemical facility inspection would receive seven Enforcement Units. Enforcement Units will be the new metric that OSHA’s national office evaluates at the end of the fiscal year and tracks from year-to-year to evaluate enforcement performance of its various regions and area offices.